Chikungunya is a viral illness that spread to people by mosquito bites. Chikungunya virus has been found in Africa, Asia, and Europe, and in the Indian and Pacific Oceans. In December 2013, a cluster of Chikungunya cases was identified for the first time in the Americas. Since then, chikungunya has spread throughout the Caribbean and into South and Central America. There have been several local introductions of chikungunya into Florida in 2014; however, none of them appears to have resulted in ongoing transmission or spread of the virus. Significant local transmission has been reported in Puerto Rico and the U.S. Virgin Islands. There has not been a locally acquired case in Hawaii to date. There are not yet any vaccines to prevent chikungunya virus infection, and the most effective protective measure is avoiding mosquito bites. Most people that become infected will develop some symptoms, most commonly fever and severe joint pain in the hands and feet. Other symptoms also include headache, muscle pain, joint swelling, nausea, vomiting, redness around the eyes, or rash. 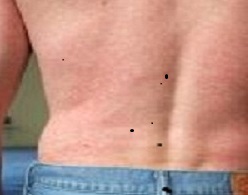 The rash usually starts 2-5 days after fever starts. Up to 28% of people who are infected will not have any symptoms. The symptoms usually start about 3–7 days after being bitten by an infected mosquito; onset of symptoms can range from 1–12 days. People generally recover within 7–10 days, but some people may have persistent joint pain that can last for months. Death from chikungunya is uncommon. Chikungunya is transmitted to people primarily through the bite of an infected Aedes aegypti or Aedes albopictus mosquito, the same mosquitoes that spread dengue and Zika viruses. The mosquito becomes infected when it bites a person who is already infected with the chikungunya virus. It takes a week or more for the chikungunya virus to replicate in the mosquito; then the mosquito can transmit the virus to a new person when it bites. Chikungunya virus cannot be transmitted from person-to-person. A person can be infected with chikungunya and dengue virus at the same time as they are both carried by the same types of mosquitoes. Therefore, it is important that healthcare providers consider both dengue and chikungunya when evaluating suspect cases traveling to areas where both viruses are present. The diagnosis of chikungunya is based on a combination of clinical signs and symptoms, travel history, possible exposures, in addition to laboratory testing of the blood, serum, cerebrospinal fluid, other body fluid or tissue. 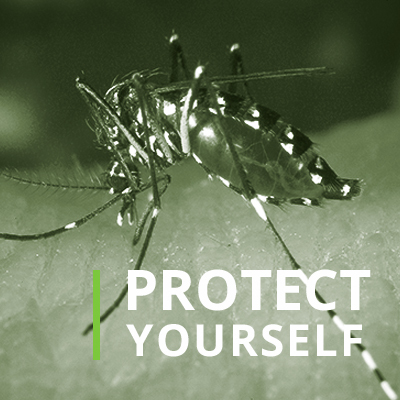 If you have symptoms of chikungunya and traveled to an area affected by chikungunya, you should contact your healthcare provider for care and evaluation and stay indoors as much as possible to avoid mosquito bites and help prevent possible spread of the virus. There is no vaccine or specific treatments for chikungunya. Treatment is supportive. Bed rest and acetaminophen (Tylenol) to treat fever and pain are recommended. Patients are advised to drink fluids to prevent dehydration. Aspirin and non-steroidal anti-inflammatory drugs (like ibuprofen) are not recommended until dengue can be ruled out to reduce the risk of bleeding. If patients are taking medicine for another medical condition, talk to a healthcare provider before taking additional medication. After someone has been infected by the chikungunya virus, he/she is likely to be protected from chikungunya infection in the future. Chikungunya virus is not endemic in Hawaii. There have been no locally acquired cases of chikungunya. All of the cases identified in Hawaii have been travel-related (or imported) and infected while outside of Hawaii. However, Hawaii’s status as a travel destination place it under continual threat of introduction of mosquito-borne diseases. Aedes species mosquitoes competent to transmit those viruses are present in Hawaii. Aedes albopictus is widely spread throughout the state, and Aedes aegypti has been demonstrated in sites on Hawaii Island. Hawaii’s climate creates a year-round mosquito season. 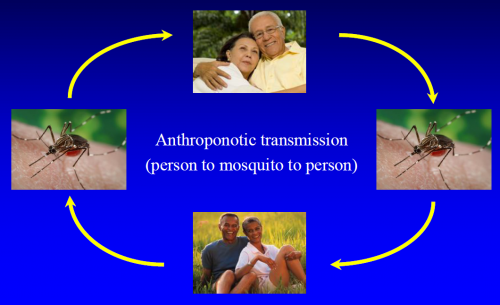 Therefore, it is important that individuals with chikungunya should protect themselves from further mosquito bites during the first two weeks of illness to prevent further transmission of the disease. 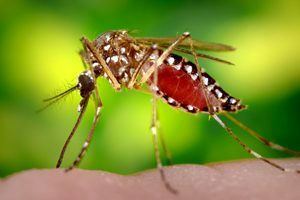 The Hawaii Department of Health are enhancing the surveillance and prevention of arboviral diseases, and increasing mosquito control efforts. Residents should take basic precautions to protect themselves from mosquitoes by following the Department of Health recommendations. If you are going to be traveling, check before leaving if there is a risk of chikungunya at your destination, and if so, be sure to take precautions against mosquito bites. For country-specific travel information and recommendations, visit the Center for Disease Control (CDC). Chikungunya is notifiable in Hawaii and should be reported by telephone to the Disease Outbreak Control Division, Disease Investigation Branch on Oahu, or to the District Health Office on the neighbor islands as soon as a provisional diagnosis is established. The State Laboratory Division (SLD) of HDOH can perform several different tests for Chikungunya. The real-time reverse transcriptase polymerase chain reaction (rRT-PCR) and serologic (immunoglobulin M [IgM]) testing can be done by SLD. Any positive or equivocal IgM result requires follow up testing by plaque-reduction neutralization test (PRNT), currently only available through HDOH at the Centers for Disease Control and Prevention (CDC). All specimens should be routed to SLD through a certified clinical laboratory.